Situated in Juneau, this hotel is within 3 miles (5 km) of Mendenhall Golf Course, University of Alaska-Southeast and Auke Bay. Mendenhall Glacier and Nugget Falls are also within 6 miles (10 km). This smoke-free hotel features a restaurant, a 24-hour fitness centre and a bar/lounge. Free continental breakfast is provided, as well as free WiFi in public areas, free self parking and a free airport shuttle. Other amenities include a conference centre, a business centre and laundry facilities. All 104 rooms offer free WiFi and free wired Internet, plus kitchens and safes. The hotel offers a restaurant. A bar/lounge is on site where guests can unwind with a drink. A complimentary breakfast is offered. Public areas are equipped with complimentary wired and wireless Internet access. A business centre is on-site at this 3-star property. This business-friendly hotel also offers a 24-hour fitness centre, laundry facilities and a lift. A roundtrip airport shuttle (available on request) and A ferry terminal shuttle are complimentary for guests. Complimentary self-parking is available on-site. 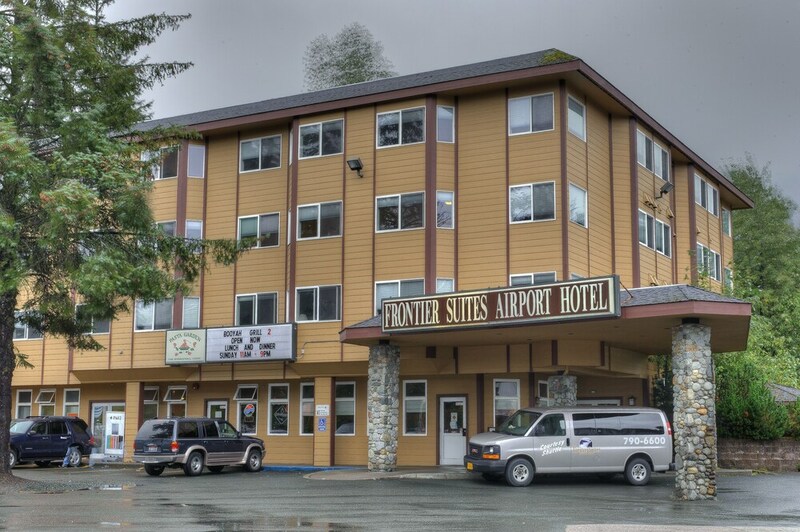 Frontier Suites Hotel in Juneau is a smoke-free property. Four Plates Cocina – This restaurant specialises in Mexican cuisine and serves lunch and dinner. Guests can enjoy drinks at the bar. Open daily.